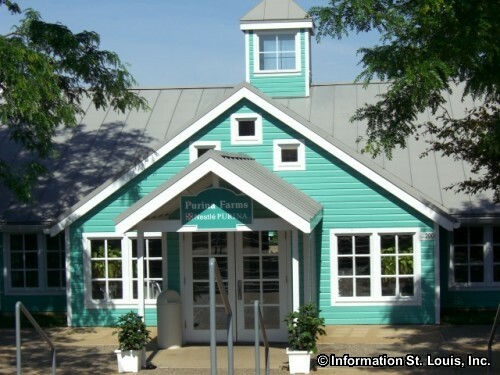 The annual Springtime Village at Purina Farms takes place April 10th-14th, & April 17th-20th, Wednesdays through Sundays. Activities include: baby animal petting arena with piglets, chicks and rabbits; pony rides; photos with Peter Rabbit; scavenger egg hunt wagon ride; variety show, sing-a-longs, storytelling; and MORE! NO reservations needed. Activities are all-inclusive with the $15 per car paid parking (face painting, food and beverage available for a fee). Call 314-982-3232 or see website and/or click through on the Facebook link for more information. Purina Farms host over 60 dog events a year at its Canine Activity Center, as well as many people events, too. One popular dog event is the Purina Dog Chow Incredible Dog Challenge. Other events such as herding competitions, dog shows for all breeds and daily dog shows are held at the Canine Competition Center. Directions: Located in Gray Summit, Missouri. Take Interstate 44 to the Gray Summit exit #253 and head North on Highway 100 for 1/2 miles. Take a left and head West on MM for approx. one mile until you reach the Purina Farms entrance on the left-hand side of the road.